The U.S. Federal Emergency Management Agency (FEMA) has returned to the capital markets as it looks to transfer $300 million of risk from the National Flood Insurance Program (NFIP). 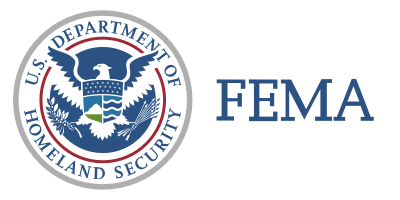 FEMA is seeking at least $300 million of collateralised reinsurance protection from insurance-linked securities (ILS) investors through its second catastrophe bond transaction in as many years, FloodSmart Re Ltd. (Series 2019-1). In July 2018, FEMA secured $500 million of capital markets-backed reinsurance protection for its flood insurance program, via FloodSmart Re Ltd. (Series 2018-1), a deal that was well received by the increasingly mature and sophisticated ILS investor base. Following the successful completion of its first catastrophe bond transaction, FEMA has returned to the capital markets less than a year later, again leveraging its Bermuda-based special purpose insurance vehicle, FloodSmart Re Ltd.
FEMA’s latest use of the capital markets in order to transfer risk from the NFIP further underlines its commitment to broadening its sources of reinsurance protection to include the ILS space. Investor demand resulted in the 2018 deal almost doubling in size while at market, so it will be interesting to see if this year’s cat bond grows from the initial target size of $300 million. Currently, the deal is split into two tranches, a $250 million Class A tranche of Series 2019-1 notes and a $50 million Class B tranche of notes. As with the previous deal, reinsurance giant Hannover Re is to act as the ceding reinsurer for the transaction, providing reinsurance coverage to FEMA and its NFIP. The deal provides FEMA with protection against certain NFIP losses in the U.S., Puerto Rico, U.S. Virgin Islands, and D.C. Ultimately, the transferring of risks from the NFIP to the capital markets enables FEMA to better secure the flood program, while ensuring it has the ability to pay flood claims, which have been on the rise in the U.S. in recent times. FEMA is currently restructuring parts of the NFIP, announcing changing to its pricing structure where premiums will be tied to the actual flood risk of individual homes, a move that could lead to the transfer of more risk to the reinsurance industry and the capital markets.